Houston Wedding and Portrait Photographers: F.A.Q. I see the designation CPP after your name. What does that mean? CPP is an abbreviation for Certified Professional Photographer. This certification is only offered through the Professional Photographers of America (PPA). CPP’s must pass a written exam as well as submit a photographic portfolio demonstrating their technical knowledge of photography and the use of lighting techniques. “These days, photography is practiced by anyone with a smartphone, but it’s mastered by few. When it comes to those once-in-a-lifetime moments—when you’ve got one shot at getting it right—you better make sure the person behind the camera is a pro. A proven professional photographer that is. There’s no greater proof than when the letters “CPP” follow a photographer’s name. They designate a Certified Professional Photographer, someone who is putting in the extra work to stay above the rest. It assures you of this photographer’s professional knowledge and experience, while also declaring that photographer as one who has achieved and maintains a higher standard”. You can read more about CPP here. We are in the studio by appointment only, Tuesday-Friday 10:00am – 5:00pm. Weekend consultations are not available due to our wedding schedule; however, we can schedule an early evening appointment Tuesdays, Wednesdays or Thursdays. The studio is located at 5701 Woodway in the Tanglewood/Memorial area. We are at the corner of Woodway and Chimney Rock in a three story commercial office building (on the 1st floor). Guest parking is available on the second level of the parking garage. What is the process for reserving MCP for our wedding? First, we require that we meet each and every bride personally to ensure we have a mutual understanding of your expectations. Secondly, a completed wedding agreement signed by both parties and a $2000 non-refundable retainer reserves your wedding date. The remaining balance is then divided into 3 equal payments with the final payment due 2 weeks before your wedding. Will you hold a wedding date with a verbal request? Due to high demand, we are unable to hold dates. We operate on a first come, first serve basis so please do not hesitate in securing our services. A completed wedding agreement signed by both parties and a $2000 non-refundable retainer reserves your wedding date. How do I obtain pricing and availability information? You can obtain pricing and availability information by contacting the studio. Check, Cash, MasterCard and Visa. Yes, this fee varies depending on the location where services will be rendered. Please contact us for further details. A presentation of work will be presented during our initial consultation. Michael will be your primary photographer. A secondary photographer, a photojournalist, always accompanies the primary photographer. Do you photograph destination weddings? What fees are involved? Yes. Travel expenses typically include air, hotel, car, parking and tolls. In addition to the typical travel expenses, our average per diem rate is $350 US dollars per day (pending destination currency exchange rate). Do you provide negatives and full digital files? Although this is not standard practice at our studio, it is an option with a Custom Collection. Please contact us for further details. How well do you work with other wedding vendors? As seasoned wedding photographers, we are accustomed to working with other wedding professionals such as wedding planners, videographers, and florists. We are a referral based studio, 95% of our business comes from past clients and from other wedding professionals. Feel free to inquire about our vendor referral page for a list of preferred vendors. What is the purpose of an Information Meeting? An information meeting is a meeting of the minds; we request all brides and their contractual binding parties be present at this pre-wedding meeting to ensure that we have a clear vision of what is to be expected. Specifics include time-lines for pre-ceremony photographs; altar formals and opportunities for additional family groupings. This is a one-time meeting usually scheduled for the week of the wedding. It ensures members involved understand the flow of the day and are in agreement and that we have an organized plan in place for capturing your images. Can I provide you with a list of photographs to take at my wedding? During the information meeting, we will review the photographs we will be capturing during your wedding. We will gladly accommodate special requests you or other family members may have. Most churches and places of worship do have time constraints, so we do ask that special extended family groupings be captured at the reception. We also suggest appointing a family member to assist with any groupings you would like us to capture at an appropriate time during the reception. Should I have my hair and makeup professionally done for my portrait / wedding? Absolutely! We recommend having your hair and makeup professionally done for your engagement and/or bridal portrait sessions as well as your wedding. We also recommend arranging a trial run with your makeup artist / hair stylist prior to your portrait session(s) or wedding to ensure that you are satisfied with the outcome. Is retouching included with all images ? Finished engagement, bridal and family portraits include full retouching. 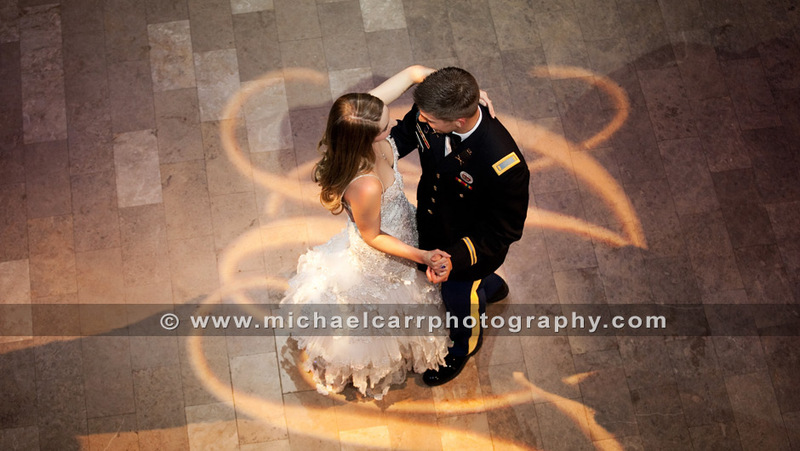 Wedding day candids typically do not include retouching but it is available as an option for an additional fee.